When the Ironclad Dreadnought is deployed, Land Speeders gain the Orbital Re-Entry ability, allowing them to re-enter orbit and slam down at the target location after a delay. Causes damage and knocks back in a circle. Land Speeder multi-meltas gain an additional charge, allowing them to fire twice in rapid succession." To be honest, wasn't expecting that at all. Land Speeders can chase down pretty much anything and get fair reward, whereas the Choppers and Vypers are still bad compared with waiting for a better unit. Was expecting something else from something like this such as "1000+ hp to dreadnoughts when deployed" which would be pretty hard to deal with. It seems almost like lelic wants an 'easy win formula'. Thought it was tough before when 5-10 multi-meltas insta kill your giant elite, fly through your base, set your whole team back? Now double their damage and let them become Assault Space Marines! Let them do it with 'half' the speeders! They are already able to plow through their direct counters like a hot knife through butter .. feels like they kind of gave a buff to a potential overpowered unit already. I have no idea of your ideas. (All T0's) 800 HP Landspeeder dies of 2 TB's barrages, can't get away from Spectres on reverse move and can't make it unscratched on the cruiser speed. They are worse at harassing LP's than ASM's with True Damage, cost 225E with Multi-melta upgrade, have no 360 degree-firing turret and you basically won't build them when Predators would became available. Won't say for that Divekick untill I'd see it's cast time and knockback, but doublet-shooting multi-melta seems relevant as T3 harassment option. It feels unbalanced in a way like, even if you are compensating for being a not-so-good player, it shouldn't make you win so much if you have a teammate hanging back and spamming a ton of land speeders. It doesn't work with Vypers or DeafCopters that well either. It's clearly OP if you have ever seen a late-game time where someone comes out with like 10 land-speeders and melts down everything. You might think, it's viable strategy, but it's clearly too strong already. There's a few counters or ways to stop it for sure but.. it shouldn't be a clear '1 unit spam' to completely win. While it's true Speeders are generally better than Vypers or Koptas they are also almost twice, or even more, the price with a Melta for sure. Also, the extra charge on the Melta will only be good for an initial burst. In a sustained fight the Speeder will be no different. We don't know how expensive the Ironclad Dreadnought we be at the moment, but if it's like 8+ points then one should be able to mount an effective army by that point right? I've had the same kind of "suddenly infinity vehicles" experience except against Eldar in 3s where one of the enemy players shows up with Wraithknight and 6+ squads of Wraithguard after barely being seen the whole game. I feel like it's one of those moments where you have to realize that your team shouldn't have allowed that to happen, or maybe better yet, should have recognized it and employed a similar strategy. That said, it definitely doesn't feel fair to be on the receiving end. Generally that surprise player is the one who buys and upgrades all the resource points allowing ones mates to freely spend on army in the early to mid-game; hopefully compensating for their teammates absence on the battlefield. It's a viable.. well.. it's a strategy at least in 3v3. I'm more worried about the Lone Wolf supporting flanking maneuvers than I am about spam. Just focus it down with Wraithguards, or dance around it with Shadow Specters, just like a normal Dreadnought. ok so i am guessing whats the new elites for greenies and pointy'ears? It definitely isn't the best strat to use land speeders but I feel it's an un-needed upgrade. They are more viable with custom or high resources. Dreadnoughts +hp makes more sense than random landspeeder upgrade. Land speeders didn't need much boost. I'm hoping for some warlock action. And more wraith-unit doctrines. Looted Ironclad Drednought and Proto-Ironclad Drednought? Jokes aside. I'm counting for Orks's Flash Gitz and Eldar's Fire Dragons. 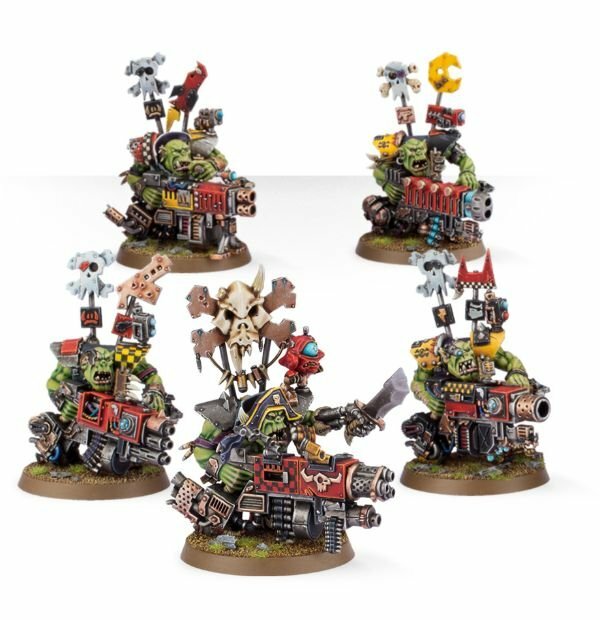 Flash Gitz would be very high on my list for orks, followed by painboy. As i mentioned before, for eldar i would love nothing more than a warlock. I expect it to be 24th but delayed to 31st. Ahyes more stuff to ensure everyone picks only SM. 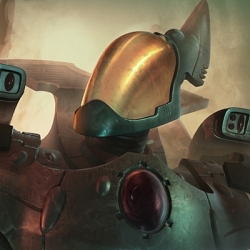 Maybe we will get a Wraithseer, and another Elite for Orkz too. dont kid yourself, probably a ranged Wraithlord. easy to re-model. Though I will be pleasantly surprised if Warlock. 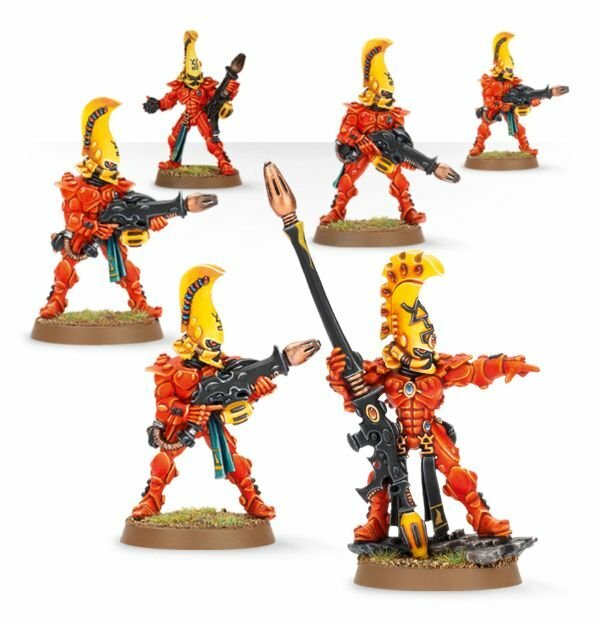 and when the info of our new eldar ork elites will released? Eldar could use a 4-pointer. Fire Dragons could possibly fill that role although having an anti-armor squad at so few points seems unlikely. Swooping Hawks might be more likely at 4 points or possibly a Warlock, but that also doesn't feel right. I wouldn't expect a generic Warlock to be more powerful than Macha. Orks are a tough call. I'll hop on board with the Flash Gitz prediction I guess. .......Will these new Elites be used by AI too? This new dreadnought looks at lot more battleworn too, and I ++heresy redacted++ love it. Good job relic, more content is always welcome! True, we only have Jayn Zar at 4 points, we could use either Fire Dragons, or Shinning Spear, or even a Warlock, at that mark. All factions could use another 2P Elite or two, aswell. I think for the Orks there may be some looted vehicle (Leman Russ) or the kills healthy. For the Eldars, I think of a wizard's council or some sturdy vehicle. Relic really hates giving dreadnoughts ranged weapons,do they? Venerable Dreadnought has a ranged main weapon. Looted Tank and Wraithseer would be comparable to this. Default ones don't,this one also doesn't have.I can get it for this one because it's close combat variant,but regular ones should have at least assault cannon. Still Jonoliveira is correct. Venerable Dreadnought is really equiped a plasma cannon which is a ranged weapon and its main attack. Also, what I read in lexicannun is that Ironclad is a Dreadnought specializing in heavy close combat and siege, albeit in lesser manner as a Siege one in second case. I suppose for some expansion they could add it as an investigation or a doctrine. They have to keep some Ace up their sleeve to be able to sell expansions. Why are you surprised here? You have predators for autocannon(and SM don't use AC on dreads anyway), you have lascannon on predator as well, multimelta is already on land speeder, assault cannons are used by terminators and finally, you have plasma cannon on ven dread. There literally isn't a single ranged weapon that could go on dread and not steal the place of already existing unit or elite. Come on relic, feed us more info. @Kat_RE when will the remaining elites be revealed?